Technologic advances are reshaping the way all Americans live. A recent story in U.S. News & World Report singled out seven advances that will specifically affect seniors. Health information is becoming increasingly valuable in this sector, thanks to its many uses. It’s a rare operator who is not harnessing tech tools to help improve care and the bottom line. A Fitbit activity monitoring device can be used to measure how physically active your residents are, a new study suggests. You’ve got questions? … We’ve got answers. Will minimum wage increases significantly affect my operations this year and beyond? A pilot program involving Brookdale Senior Living shows that non-skilled operators can improve care quality while beating nursing homes on price. The secret to success in senior living may be as simple and as difficult as finding the right fit, according to speakers at the 2016 NIC Spring Investment Forum. 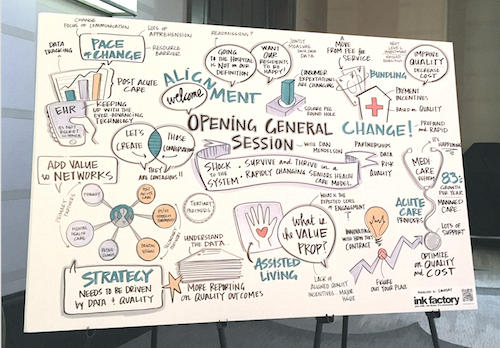 Senior living, real estate management and banking professionals shared their thoughts on design, service and financing trends during a NIC 2016 Spring Investment Forum session.